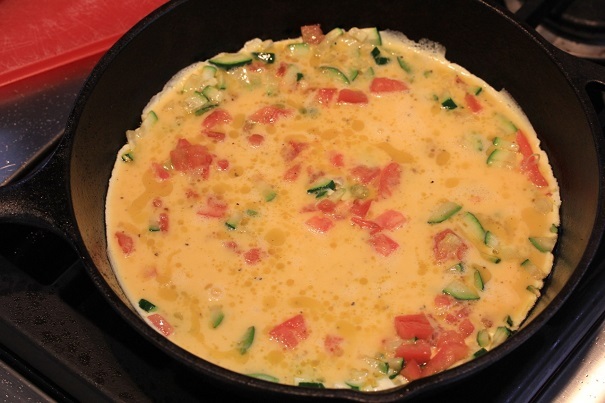 Whisk the eggs together in a bowl with the cream, salt and pepper until they are bubbly and frothy. Spray some cooking spray into a nonstick frying pan. 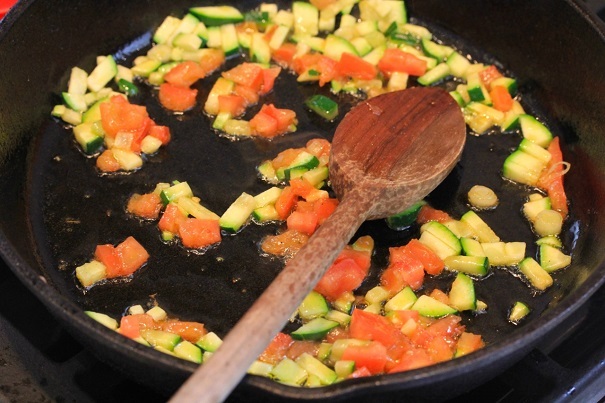 Sauté the zucchini lightly for one minute. Add tomatoes and sauté together another minute. With heat on medium low, add eggs and cook slowly, allowing the eggs to set and gently pushing them around with a spatula until they’re beginning to get firm. 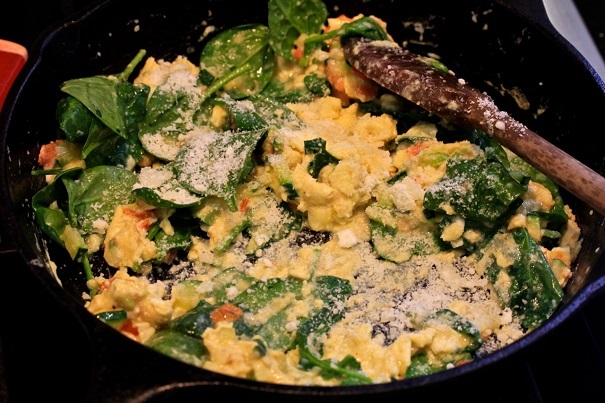 Add the spinach and cheese and stir to combine. It will take about a minute for the eggs to set. Sprinkle with scallions. Serve immediately.